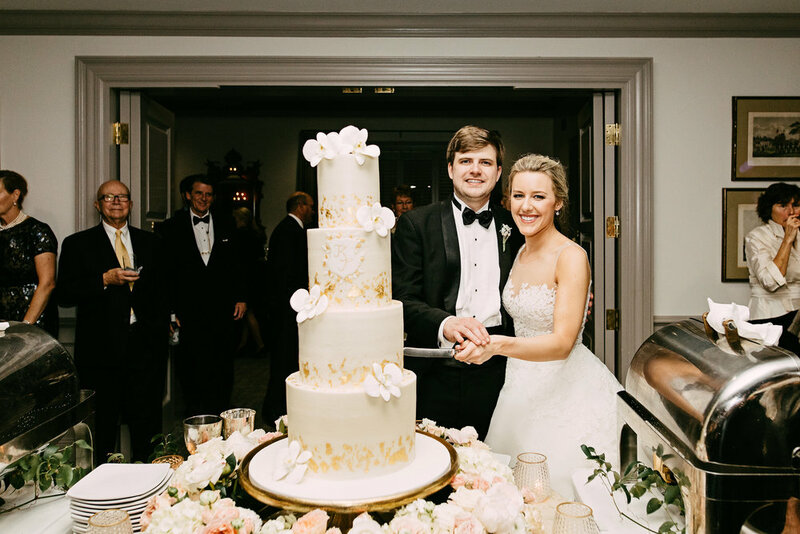 Chelsea + Andrew tied the knot in New Orleans in September 2017 + it was a fairytale affair that makes us all swoon here at Maggie Louise! 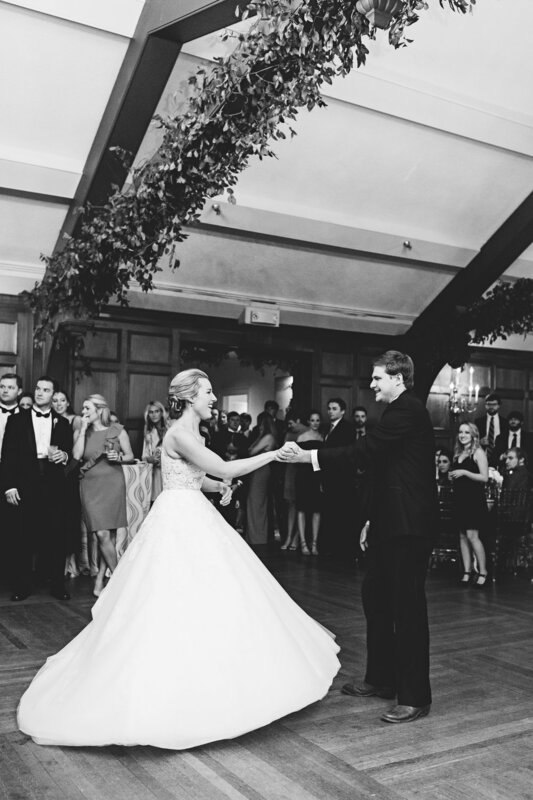 She was a vision in her custom Monique Lhuillier bridal gown, which was hand beaded by our incredible seamstress. 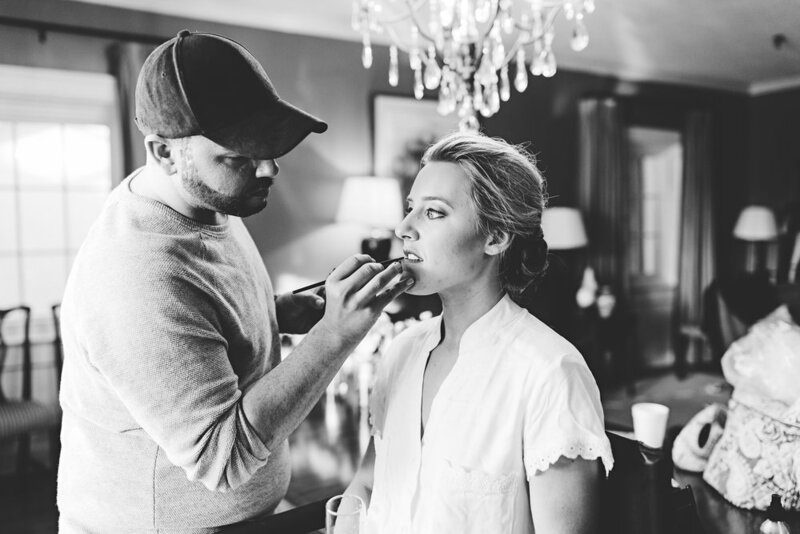 Chelsea's bridal look was one for the books + embodied who she is as a woman beautifully. HOW DID IT ALL BEGIN? Our love story began like so many others, St. Patrick's Day of 2014 ... a girl in a green wig asking a man for his number. Some may say that it was the green beer that convinced Andrew to give me his number, but we all know that it was really the wig that did him in! After months of dating and meeting all of the friends, Andrew FINALLY got on the same page as Chelsea and realized that this could really be "the one". Our anniversary is Labor Day , making the month of September a very special one for us! THE PROPOSAL : Traveling the world together is something that has really set the stage for us as a couple. We love experiencing life together and try not to sweat the small stuff — So, it is no surprise that Andrew decided to propose on one of their vacations in Positano, Italy. It is true what they say ... Italy is the country of Romance! I thought we were just going to be drinking wine, eating cheese, and staring into each other's eyes for 10 days straight, but little did I know that Andrew had been lying through his teeth for the past 2 months and had endlessly researched rings, asked my dad for her hand in marriage (along with my younger brother Trey, let the waterworks begin), and flew to New York to pick out the perfect rock. Andrew, being a closet-romantic, planned the entire proposal and even had a couple to film and photograph the whole thing from our balcony with the Positano night in the background. The already perfect vacation took a slight turn and ended up being an engagement celebration, trust with still plenty of wine and cheese, that neither of us will ever forget. WHAT LED YOU TO MAGGIE LOUISE : What DIDN'T make me want to choose Maggie Louise? I mean, everything I read online and heard through friends was absolutely true. The awards and accolades that the boutique has received are so well-deserved and I wanted to be a part of that. I knew that they would listen to me and prioritize how I wanted to look and feel on my wedding day. The dresses that ML offers are beautiful and unique and you get that' special moment' without having to fly across the world to find it! MOST MEMORABLE WEDDING DAY MOMENT : Our first look!! Instead of doing the traditional, secluded first look moment, we hit the streets and did it in front of 5 bars, multiple bystanders, all of our wedding party... and to our surprise... a Harrah's parade! So, why was this the most memorable moment? Well, the obvious being that it was our first time to see each other, which was emotional and everything we thought it would be. BUT the moment I started to walk towards Andrew's back, the parade band started to play traditional New Orleans music. It was worthy of all of the goose-bumps! 3 WORDS TO DESCRIBE THE BIG DAY : MAGICAL. ROMANTIC. SO-FREAKIN-FUN! HOW DID Y'ALL PICK NEW ORLEANS? As you've read, we love to travel! We knew we didn't want to do a wedding in our home city of Memphis, though we love it endlessly. Chelsea was on a flight and started up a conversation with the man next to her about a destination wedding that was still accessible to friends and family. This man, a part of the NYC symphony, had so much to say about the music, food and culture of New Orleans that sounded exactly like the kind of place we wanted to have our wedding. We started researching that very same weekend + Andrew actually found the venue on Instagram! 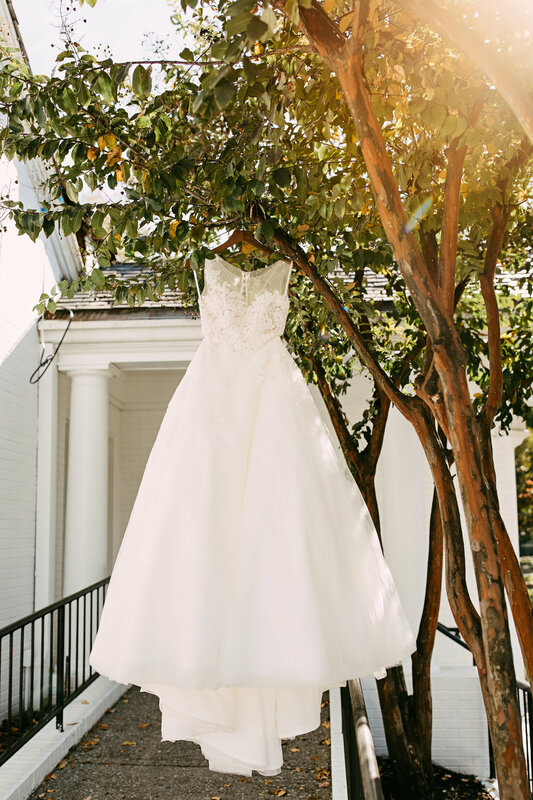 It's beautiful plantation grounds and the extensive list of items included on the big day, made Southern Oaks Plantation the obvious choice for an out-of-town wedding. I wanted the day to be stress-free and all about Andrew and I. I didn't want to fuss with some of the small stuff, I wanted the experts to handle what they are good at, and OMG did they out-do themselves! Horse and carriage, fireworks, personal attendants, the works! WHAT ARE YOU MOST EXCITED ABOUT IN MARRIAGE? Having 'my person' for the rest of my life. There is something so comforting and peaceful knowing that you are so loved by someone. I see all of the possibilities of our future when I look at Andrew. He brings me such joy, comforts me when I'm sad, makes me laugh until I cry, encourages me to be a better person, and makes me feel like a million bucks every single day. FIRST DANCE SONG : Our first dance was to Roy Orbison, "You Got It", it is such a sweet song. We wanted to dance so also needed a song that was up-beat! Andrew found this song and sent it to me while I was on a business trip. I put it over the car speaker for the first time while I was driving and had to pull over because I was crying so hard! It showed me that this is what Andrew thought about when he thought of our relationship. He said he wanted it as our first dance song, and I had to say yes. If there is one thing we love around here, it is making people feel loved + seeing others be loved well! Out of our passion to deliver that tangible + experiential type of love at Maggie Louise, a next adventure + latest product launch has come to life. We are excited to introduce Maggie Louise HAPPIES! Our "HAPPIES" are a curated collection of meaningful + elevated gift boxes created to help you celebrate the ones you love. They are composed of beautiful, yet useful products to help you easily deliver personal + thoughtful gifts. Whether you are celebrating a major milestone, bestowing tokens of appreciation, or simply blessing someone's day, HAPPIES can help you say it in a visible + lasting way. "HAPPILY EVER AFTER" : a premium keepsake box, perfect for a bride-to-be to commemorate her groom popping the question. Includes a congratulations card, a bubbly beverage, a notebook for wedding ideas, a Bling Brush to shine her ring, chocolate bar, + all the relaxation essentials : face mask, bath fizzy, + candle. Can't say "I DO" without your crew! Ask your ride or die girls to stand by your side with a "BRIDE'S TRIBE" box. This petite keepsake box includes a card, chocolate, a fun bath fizzy + candle! HAPPIES were created with our brides in mind! Assemble your list of ladies to help you say "I DO" + we will put together the perfect box to help YOU pop the question too. 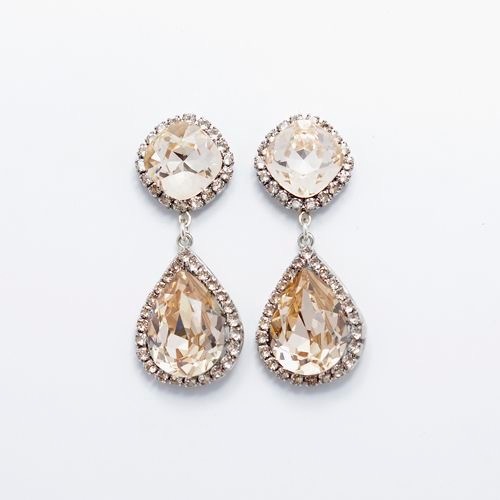 Get your best gal wedding day ready with our "BEST DAY EVER" happy! This premium gift box includes a luxiourious bridal robe, a bubbly beverage, a card, chocolate bar, candle, + everything she needs for the honeymoon ... a bath bar, foot soak, + face mask. A keepsake that communicates love + self care! Our petite, relaxation gift box, "GOOD VIBES", comes with a card, foot soak, a bath bar, hand creme + a candle! Visit our HAPPIES page for a look at gift box options currently available for purchase! Our "BRIDE'S TRIBE" boxes are built to help you ask your favorite ladies to stand by your side. The "BEST DAY EVER" box is perfect for arming the bride-to-be for all she needs on the big day. Our relaxation boxes are made to pamper a hostess or honor someone who has helped along the way. And lastly, if you're looking to build your own box, give us a ring + we would LOVE to bring your HAPPIES to life. We are excited to add this extra element to our arsenal here at Maggie Louise in an effort to make a bride's journey down the aisle as easy as possible. We can't wait to build your HAPPIES + spread the love far and wide! Our HAPPIES FAQ page includes more information, but feel free to contact us for any assistance you may need in bringing your boxes to life! We are excited to help you spread happiness near + far! Our newest Anne Barge arrivals are now gracing the racks at Maggie Louise + here is a little look at what is now in store! From sleek, sophisticated designs to gowns with a touch of whimsy + delicate sparkle, Anne Barge's 2018 collections offer the perfect look for every bride.